Christmas Eve can be as cold as the hockey rink itself, but do not get upset - the expectation of the holiday always warms, and hockey gifts for Christmas will warm you up even more. Decorate your house with these ornaments, and you will immediately notice that not only the home interior has played with new colors, but also the mood has become incredible. The comfort and festive atmosphere can not exist without the traditional Christmas tree, but for a change, we offer you decorate it with hockey Christmas tree ornaments. We cooperate only with trusted reliable brands, such as Forever Collectibles, so that everyone can find something unique. 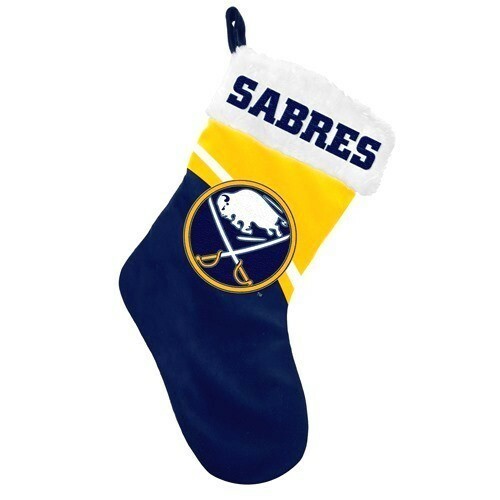 Turn your father into Santa by giving him a Santa cap, help your mother decorate the house with NHL Christmas decorations, hanging up wonderful stockings for gifts over the fireplace, and please your little sister or brother by presenting Christmas toys, which are also presented in the Collectibles of the Game store. Everything you need is collected in one place, and this place is our store.